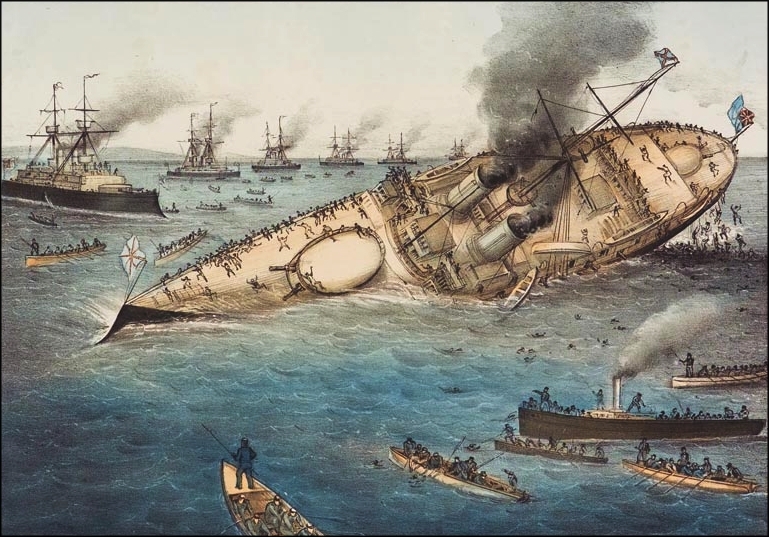 When tragedies occur there are often strange tales associated with the disaster. 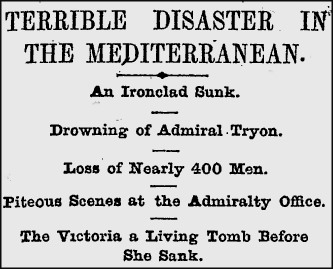 I came across such an example from 1893 - June 22nd to be precise. 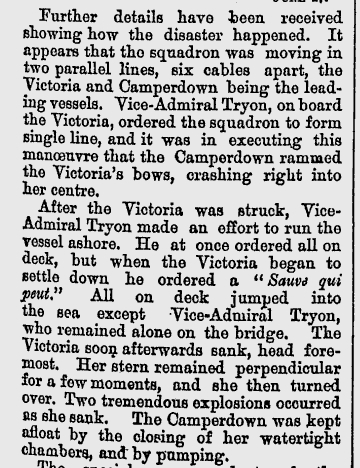 This was when the British Royal Navy Flagship, Victoria, was rammed by another ship - Camperdown - one of it's own squadron, and subsequently sank. Most on board went to a watery grave. Okay, now the 'strange' part. 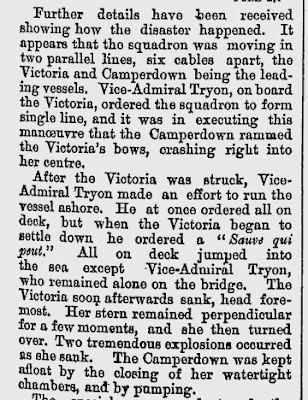 At the time as the collision, the admiral's wife was giving a party in her home at Eaton Square, London. Not long after 3:30 p.m guests say they saw the unmistakeable figure of Sir George Tryon 'stride across the drawing room'. The guests mentioned this to Lady Tryon, who had not seen the figure. She told them that her husband was with his ship. Some of the guests even claimed to have spoken to Sir George and were adamant that they had seen him. The admiral was never seen again. So, who did the guests see? A ghost or spirit? A trick of the light, or perhaps a similar looking man?